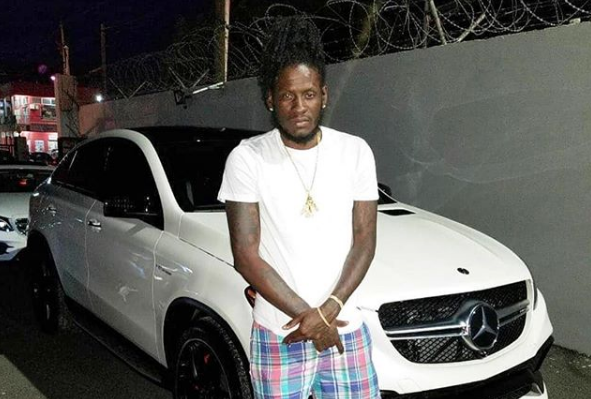 Aidonia is thankful for life following a motor vehicle collision along Mannings Hill Road in Kingston early Sunday morning. The “Big Baller” deejay sustained minor injuries after his 2018 Mercedes-Benz GLE63 SUV was totaled in the crash. On Monday, Aidonia took to his Instagram account to give thanks for life and thank everyone for their well wishes and prayers. “JAH IS REAL ! LIFE A DI GREATEST! GIVE THANKS!!!! RESPECT TO ALL A WHO REACH OUT AND ALL DA PRAYERS HEART A ❤️,” Aidonia wrote under a photo.